The Eleventh Judicial District Commission on Judicial Performance recommends by a vote of 9-0 that Judge Peter F. Michaelson BE RETAINED. 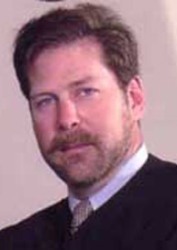 Judge Michaelson was appointed as the County Court Judge for Custer County on August 8, 2003. Before his appointment, Judge Michaelson was an attorney operating his own law office in Westcliffe, Colorado. As a part-time Judge, he continues to maintain his private practice. He also acts as a mediator through the State’s Office of Dispute Resolution. Judge Michaelson was the elected District Attorney in the Fifth Judicial District from 1988 to 1996. He received his law degree from the University of Denver, College of Law in 1982 and his undergraduate degree from the Pennsylvania State University in 1979. Judge Michaelson is involved with the Westcliffe Center for the Performing Arts, San Isabel Land Protection Trust, Wet Mountain Valley Community Foundation, Wet Mountain Valley Saddle Club and the Colorado Wildlife Federation. Judge Michaelson was selected to the Colorado Courts Institute For Faculty Excellence (2014). The Commission conducted a personal interview with Judge Michaelson, reviewed opinions he authored, conducted courtroom observations and reviewed the survey results obtained from attorneys and non-attorneys. Among the survey questions was, “how strongly do you recommend that the Judge be retained in office, or not be retained in office?” Of attorneys responding to the survey, 89% recommended to retain, 11% recommended not to retain. Of non-attorneys responding to the survey, 88% recommended to retain, 8% recommended not to retain, and 4% made no recommendation regarding retention. Judge Michaelson received an overall combined average rating that was consistent with the average combined rating of all county court judges standing for retention in 2014. Judge Michaelson received high marks for his professionalism in the courtroom and ensuring the litigants have a complete understanding of their rights before entering a plea. Judge Michaelson is described as thoughtful, patient and fair.